For this week’s reviews Angus MacRaild has selected three bottlings, all released since the turn of the millennium, which have subsequently passed into legend and become considered – for various reasons – important or benchmark bottlings for their respective distilleries. 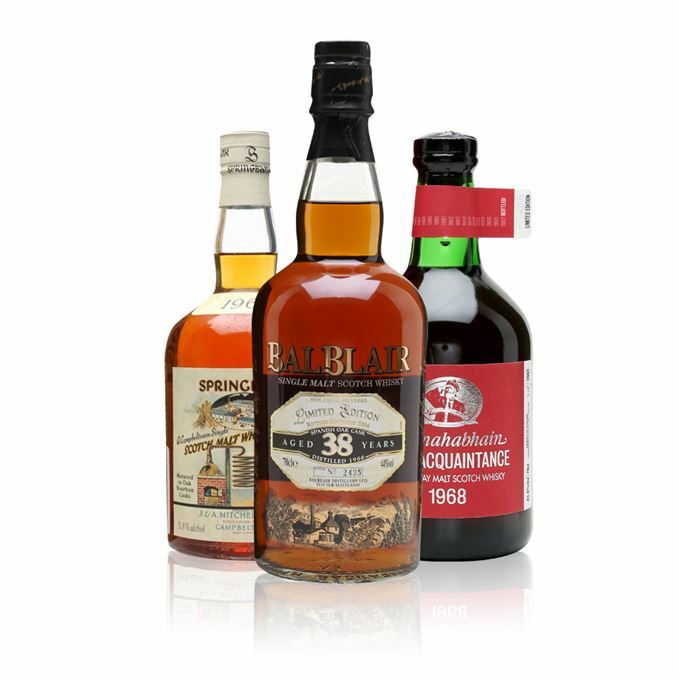 First up is the much-loved 1966 Balblair 38-year-old. Released in 2004, this was a bottling which really put Balblair on the map for many fledgling whisky lovers. Having tasted it on several occasions over the years, MacRaild still finds that it holds up beautifully. 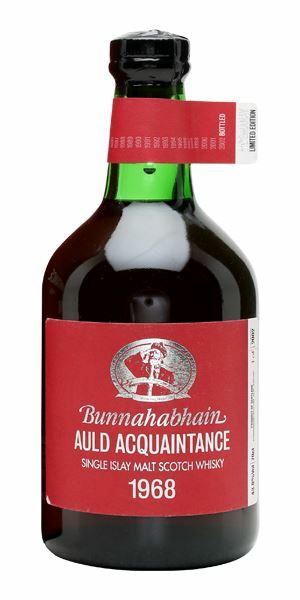 It’s something that MacRaild feels could equally be said of the Bunnahabhain 1968 Auld Acquaintance, a bottling that has since accrued a mighty reputation. 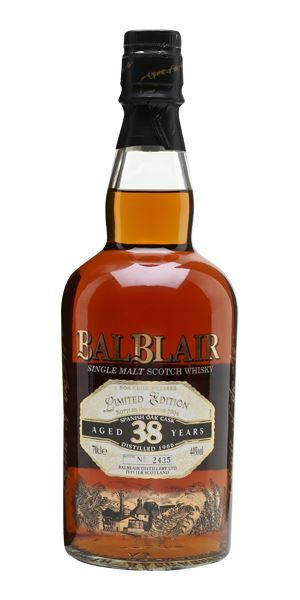 Like the Balblair, it did wondrous things for its distillery’s broader reputation. Unlike the Balblair, this is the first time since its original release that MacRaild has tasted it, and he finds a superlative whisky undimmed by time, or the occasionally perilous prism of long-standing critical acclaim. 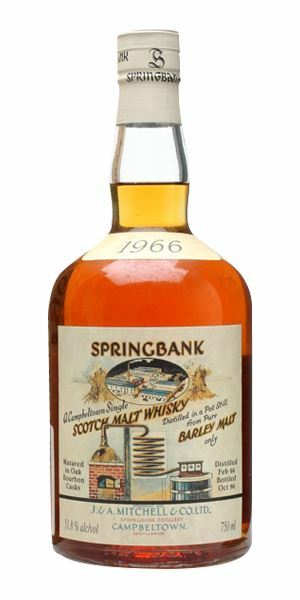 Finishing off the session is a rare 1966 Springbank Local Barley, bottled in 2000 for Taiwan. While MacRaild doesn’t find this rarity quite up to the same standard as the Balblair or Bunnahabhain, he feels it still perfectly illuminates the ongoing, and justified, fascination that this great and influential series of bottlings continues to receive. A dazzling old ‘Balblairness’ greets you at first: this wonderful cocktail of citrus peels, fresh green fruits and a few tropical fruit syrups, all shaken up with hessian and wood spice. It feels so wonderfully ‘whole’, rather than a series of different aromas linked together. A sense of composition, precision and balance pervades utterly. With a little time it unfolds more towards darker fruit notes such as fig, sultana and a slightly nutty trail mix aspect. Eventually it closes the loop with marzipan, almond syrup, a little earthiness and back towards more of these green and citrus notes. As with the Bunnahabhain below, this one punches well above its abv. Initial notes of mirabelle eau-de-vie and baked apple tart give way to a salty manzanilla aspect and a deep and resinous earthy/leafy quality. Further notes of stewed apples, pears baked in Calvados, camomile and warm currant buns. There’s a salivating dryness that runs throughout, which adds a sense of real backbone and structure – again this notion of balance and composition. A long and spice-rich fade with many darker shades of fruit, citrus peels and softer coastal aspects such as sandalwood and a pebble-esque minerality. I recall first tasting this bottling at one of – if not the – very first Whisky Live shows in Glasgow held in a tent in George Square back in 2004, back when having 1966 Balblair on free pour at the stand of a Glasgow whisky show was considered a perfectly normal thing to do. Needless to say, other memories of that particular afternoon are, for some unfathomable reason, somewhat compromised. A wonderful and important bottling with a deservedly hefty reputation. A furtive cigar in a dunnage warehouse. A quilt of fruit. Nocturnally dark and warm in its embrace; a lusciousness as well – greenery, banana skins, kumquats and star fruits. Then, underneath, quince, marzipan and little winks of Demerara. Some caramelised muscovado sugar, sultanas stewed in Cognac and, in the distance, a crisp and sinewy Bunna’ saltiness. Invigorating and exquisitely beautiful. There’s a richness that doesn’t belong to this kind of abv. It’s all simmering spices, lean tannin structure and dense notes of moist Guinness cake, long-aged Boal Madeira and then camphor and hessian. The previously aromatically distant saltiness comes lumbering up close on the palate, lolloping about and upending all the fruits in fabulously anarchic fashion. Of note is also five spice, soy sauce, aged plum wine and gooseberry jelly. It’s biting and fruity and spicy and lively and pin-sharp in all the right places. Languishing and velvety with moss, crushed ferns, walnut wine and aspects such as game and aged Pinot Noir fading in and out. Memories of this one once again. I recall buying one from Loch Fyne Whiskies in 2002 for £100. Even then it was heralded as some kind of incomprehensible bargain. I took it home and – brace yourselves – opened the damned thing. What pure pleasure to try it again 16 years later. If anything it’s even better than I remember it. A modern legend that caused a deserved stir upon release. There aren’t too many bottlings that have so emphatically altered the broader perception of their distillery. You pick an epic gem at random from the filmography of David Lean and settle in for the night. An ancient, polished hardwood cabinet with many secrets. Old make-up, leather upholstery, beeswax furniture polish, cinnamon buns, five spice, squashed jelly babies and pineapple syrup. The kind of olfactory cognitive dissonance of lusciousness co-existing with brittle woodiness that these old Springbanks seem bizarrely capable of expressing. Water brings lemon jelly, a farmy sheep wool note, sandalwood and some hessian. In typical Local Barley fashion, everything is rather beautiful and in its place. Immensely spicy at first. Lots of black pepper, strong tea, cardamom, jasmine, a little lavender oil, coal smoke and hints of lemongrass and curry leaf. Develops an earthiness and an increasingly saline note, with hints of preserved lemon and a grating of nutmeg. Water softens things out and brings a rather lovely brown bread aspect with treacle, olive oil and various toasted seeds (sunflower, pumpkin etc). There’s also some pine cone and moss/foresty notes. A lump of coal has arisen somewhere out of sight. Long, resinous and full of nervous, rather sharp fruity notes, lots of coastal vigour and a wax flourish in the aftertaste. The Taiwan cask has some degree of mysticism surrounding it due to its general unavailability. However, while taken on its own this is an exceptional dram, there are better casks in the Local Barley series for my money. It’s probably a case of struggling in such lofty company. Still, a braw example of the kind of whisky that cemented Springbank’s legend in the minds of the new wave of 1990s whisky fanatics. Under the star canvas of the Ocucaje desert. Rare Batch 39 23/05/2018 Three accessible old whiskies, including Bruichladdich, Pride of Strathspey and a Reliance blend. Rare Batch 37 25/04/2018 Three legendary (and rightly so) SMWS bottlings, including the very first from the society.